Deli counter salads are always so yummy, but they are often pretty expensive (Yes, I’m talking to you Whole Foods) so it’s a great idea to whip some up at home. It’s also a wonderful side dish to bring to summer potlucks, BBQ’s, or parties! Using a steamer basket, steam broccoli until vibrant green. Set aside in fridge to cool. In a bowl, add curried cashews, green onion, sliced carrots, cilantro and bacon. Make dressing by adding bacon drippings, egg yolks, curry, lemon juice, and honey to a blender. Blend until smooth. Add salt to taste. 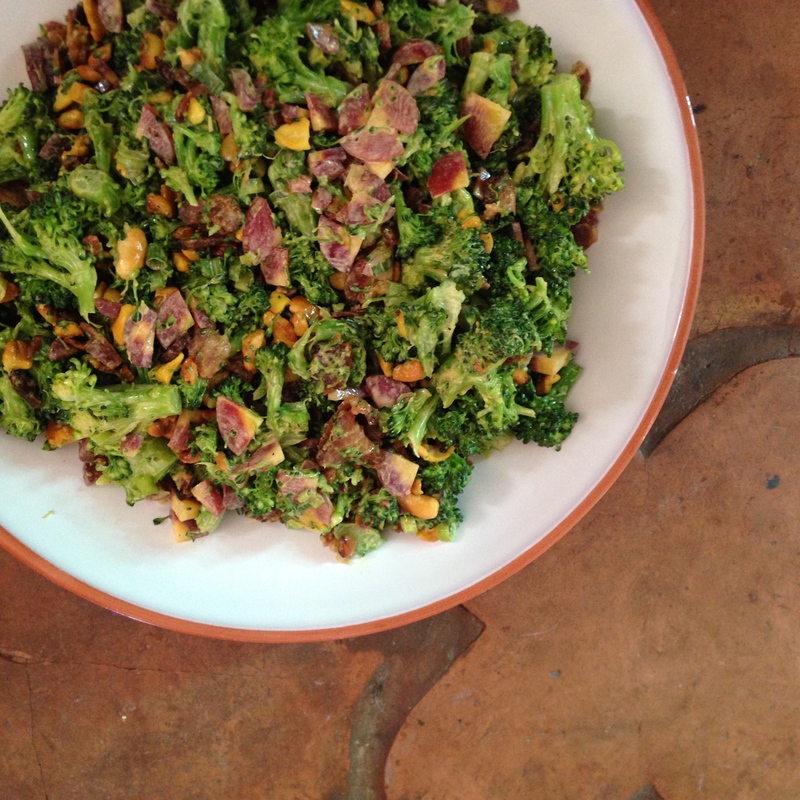 Once broccoli has cooled a bit, add to salad bowl and toss with dressing. In a bowl, add cashews. Add in curry powder and toss until coated. Heat a skillet and add cashews to toast. Shake or stir often to avoid burning. Remove from heat and add salt to taste. Let cool on a plate or paper towel.